If you think you can put a new low-slope roof on a building and then it’s out of sight, out of mind, think again. A roof should not be ignored; in fact, it needs to be maintained regularly in order to protect your investment. Most building owners make the wise decision to require a comprehensive manufacturer-backed NDL guarantee to ensure their new roof is protected against leaks. Depending on the system and guarantee, it could provide up to 35 years of coverage to a newly installed roof. 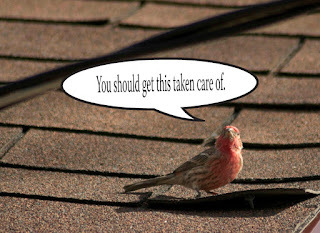 Roof maintenance programs pay for themselves in the long run. It’s comparable to spending $20 on regular oil changes for your car or waiting to get a bill for a $2,000 engine replacement. Small fixes will cost a fraction over neglecting the roof and shelling out thousands of dollars to pay for significant repairs. In addition, a leak doesn’t just affect the roof. Water damage can affect the building’s interior tile, walls, flooring, furnishings, fixtures, office equipment, inventory, and electrical systems. Hidden costs include lost revenue and income, lawsuits, slip and fall accidents, mold problems, and employee productivity issues. All of these consequential damages add up and can easily wreck an annual maintenance budget. Maintain records. Keep on file the guarantee, inspection reports, repair and maintenance bills, and original construction specs and invoices. Conduct routine inspections at least once per year. (although, spring and fall are optimal). Inspect after severe weather. Don’t wait for a leak to appear; go out after a hailstorm, heavy rain, and high wind and check for yourself. Repair correctly. In order to protect the warranty, make sure repairs are performed by an authorized contractor and follow the manufacturer’s guidelines for repair and installation. Always remove debris from the roof. Leaves, branches, rocks, and trash can cause a safety hazard and harm the roofing system. Keep metal in good condition. Examine all the flashings for rust, damage, or deterioration, as these are common points for water entry. Make sure masonry is in good condition. Examine walls for cracks, loose stones, or deteriorated sealant. Maintain rooftop equipment. Check out air conditioners, vents, duct work, skylights, satellite dishes, and antennas. Eliminate spills of coolant, oils, or grease and repair if necessary. Minimize rooftop traffic. Long-term traffic can wear out a roof and cause damage. Maintain a rooftop log so you know who has been on the roof from other trades.